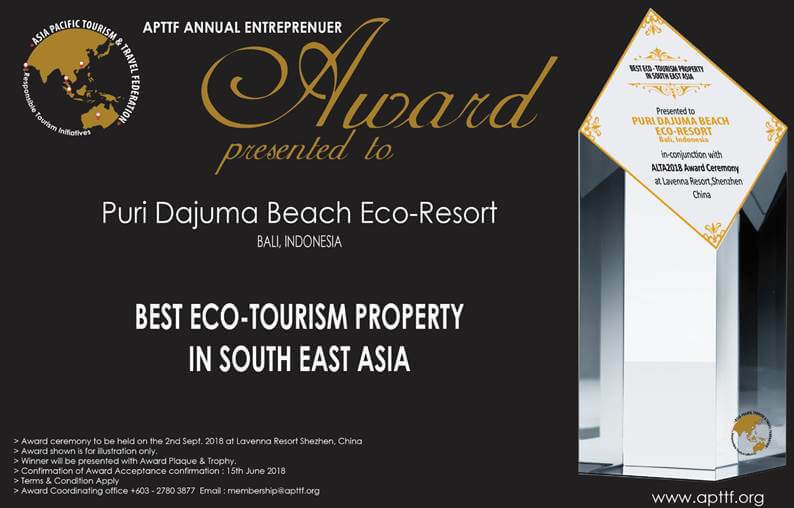 Dajuma just recieved from the Asia Pacific Tourism & Travel Federation a new award as « Best Eco-Tourism Property in South East Asia ». It rewards our continual improvement policy of the 8 pillars of our quality and environmental policy (https://www.dajuma.com/#/eco-resort). It is thanks to the exceptional dedication of our staff that Dajuma is often rewarded. It is also thanks to our guests who are timely reporting their experience of Dajuma in on line reviews. Thank you so much!